ID is seeking a candidate with an existing artistic practice and leadership experience for the post of co-director. 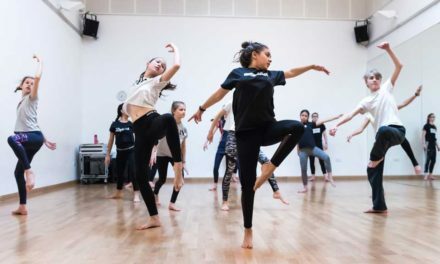 Independent Dance is one of the UK’s foremost professional development organisations for dance, leading artform and artist development through its programme of rigorous enquiry. Beyond providing professional development, ID questions the how and why of artist development, in constant dialogue with current practice. The co-director leads on artistic responsibility for this small, busy NPO, providing vision and sharing responsibility for leadership. They will programme classes, workshops and events which develop the art-form. Together with co-director Gitta Wigro, the post-holder is responsible for developing the vision and role of ID within the wider artistic, social and cultural context. This is a permanent role, pro data at 2.5 days per week. For a full application pack, visit http://www.independentdance.co.uk/who/people/id-team/vacancies or contact Ella Tighe on info@independentdance.co.uk.